Santa Clara, CA, and Paris, France, July 27, 2017 – 6WIND, a high-performance networking software company, today announced that NEC Corporation, a leader in the integration of IT and network technologies, has expanded its 10 year partnership to build high performance Evolved Packet Core (EPC) equipment for mobile network infrastructure. 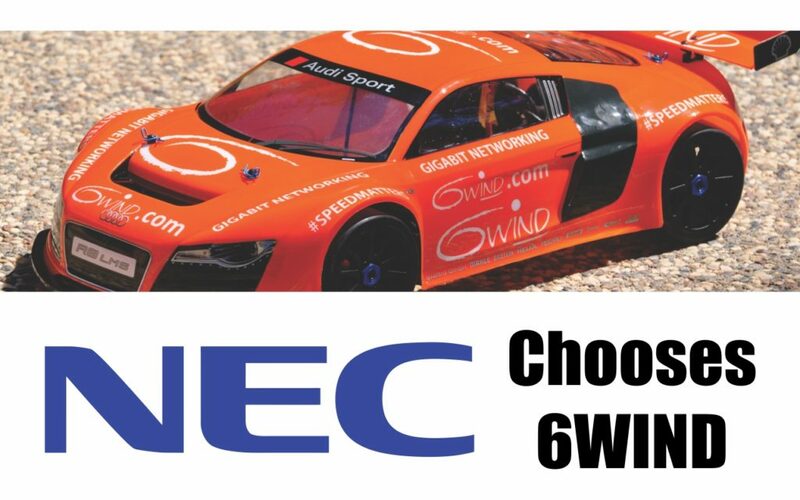 NEC built its world class 3/4G equipment on 6WIND’s 6WINDGate™ packet processing software. 6WINDGate delivers the features, performance and capacity for NEC’s systems to support mobile networks with a seamless transition to virtualization using the same software. Resulting from the success of its first generation of EPC equipment, NEC’s virtual (vEPC) solutions are now successfully deployed in mobile operator networks. To achieve maximum packet processing capacity and performance across its next-generation of telecom networking solutions, this expanded partnership will enable NEC to support additional processors and software modules when building products for additional telecom operators and enterprise markets.